The marketing of legal services is often viewed as being vastly different from the marketing of other businesses. Some consider legal marketing so unique and full of nuance that it transcends marketing best practices and disciplines. We disagree. A well-developed marketing approach built on proven fundamentals is just as applicable to marketing a law firm as it is to marketing any other business. The most successful attorneys and law firms are able to effectively deliver their unique message (brand message) to their target audience. They figure out how to deliver the right message, in the right manner, to the right people. How do these successful attorneys and law firms do this? The first step is defining your particular legal services and how they benefit clients. These attributes are used to define your personal or your firm’s brand and its message. Next, you must communicate the benefits of your services and how they stand out from your competitors. It is important to determine the most effective channels (blogging, social media, search, website, public-facing activities, etc.) for marketing yourself and your firm.The targeted audience represents a certain client type in the legal market likely to benefit from the services you offer. To define this specific client type we recommend applying the concepts of market segmentation and buyer personas. Segmentation is a method used to define a target segment of legal consumers. thus require a more specific definition. Let us look more deeply at segmentation and buyer personas, as well as their scientific backgrounds, and then discuss the benefits and application of these methods in the legal industry. The goal of segmentation is to find consumers (clients) with similar needs and group them into segments, which ensures you are marketing to the right type of client (the type of client likely to benefit from engaging your services). Segmentation necessitates a focused message and is more precise than a scattershot approach that targets an entire demographic (E.G. all companies in state X). Additionally, it is useful to determine the best mix of marketing activities to engage the target segment. In other words, market segmentation provides valuable information about who should receive your brand message and how it is best communicated. If your message does not target the right segment, you are essentially talking to the wrong people and if you use the wrong marketing activity, the right people probably won’t hear your message. Segmentation consists of four characteristics that define the target segment: demographic, geographic, psychographic and behavioral segmentation. 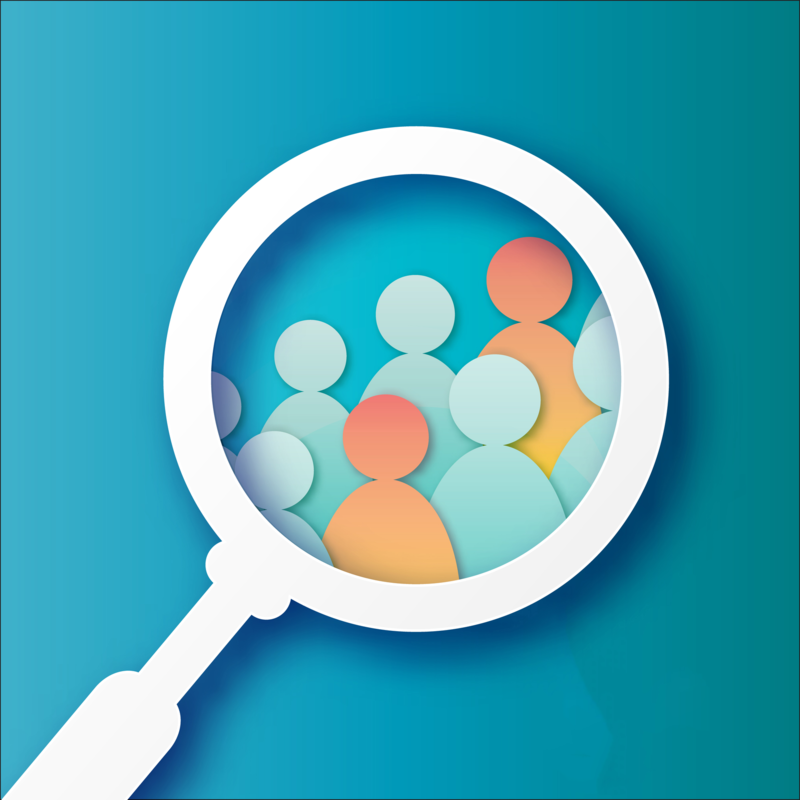 Demographic segmentation includes ranges for the clients’ age, income, education, social status, occupation, industry. Size is another indicator if the segment consists of organizations rather than individuals. Geographic segmentation defines the area, city, region, state or country of the target segment. Psychographic segmentation considers the personality types and/or traits and lifestyles of the target segment. Consumer personalities can be defined in many ways. If you search Google for consumer personality types or traits you will find many models, which are all justified for the purpose of market segmentation. If your client is typically buying on behalf of an organization, consumer personality traits may still apply but are typically subordinate to a buying process that seeks to remove personal preference. While you can simply describe personalities in your own words, initially, it might be easier to rely on previously researched buyer categories. Two popular indicators are Carl Jung’s theory of psychological types or the Five-Factor model of psychological traits (openness, conscientiousness, extroversion, agreeableness, and neuroticism) and David Merrill’s social style theory to describe client personalities. Merrill’s theory, a good place to start, defines four consumer personality types (driver/assertive, amiable, expressive and analytical). It is still important to understand a corporate buyer’s personality type even though their preferences are likely governed by a set of process rules. Here is a little more information about the basic buyer personality types as defined by Merrill. We have included several general tips relevant to the legal marketing process. 1.) Drivers are decisive, efficient, disciplined and goal and results-oriented. They value concrete information, can be impatient and are comfortable in power positions. Drivers may respond better to more substantive content resources that start with the benefit and then offer the support for the conclusion. Infographics are a great tool for communicating with drivers. It is important to prepare in advance when meeting with a driver. 2.) Amiables tend to be agreeable, friendly, supportive, respectful and team-oriented. They value relationships and look for personal security and rely on opinions rather than facts and data. They are slow decision-makers and avoid change and uncertainty. Amiables will need personal contact. They are more likely to attend a seminar or conference and will need some form of in-person contact before buying. Enhance content pieces with personal stories. 3.) Expressives are creative, outgoing and spontaneous. They enjoy personal interaction, involvement, and excitement; they like to be acknowledged, can be dramatic and tend to generalize and exaggerate. Pump up your entertainment budget if you are chasing business from expressives. Show real interest in the role the expressive plays in the buying process and drop a choice compliment at opportune times (don’t overdo it and maintain your authenticity). Content pieces can connect with expressives if they can insert themselves into the story. For example, if you are writing about how you manage cases, an example good client-side management may act as validation for an expressive. 4.) Analyticals are persistent, exacting, task-oriented and logical. They focus on facts and figures, value accuracy and precision; they like organization and structure and are cautious decision-makers. When dealing with analytical personality types, it is important to show your work. Analyticals want to know how you're going to go about the process of getting results and what success you have had in similar situations. Some people buy into visions and concepts, analyticals want data and facts to support their decisions. Ebooks, white papers, detailed articles and tools, and tips work well for analyticals. The lifestyle description consists of interests, attitudes, and opinions (IAO) including hobbies, job types, political opinions, cultural interests, preferences, etc. The psychographics of your target segment is probably the hardest characteristic to describe, however it is a powerful tool to understand how to appeal to potential clients on a cognitive and emotional level. This will be further explained in a later section. How involved are clients in the purchase decision-making process? How well are they informed about the services they are seeking? Is there value in first educating client before they buy? How complex is the purchasing process? Content pieces that offer buying best practices or checklists of purchasing considerations work well. When and under what circumstances do clients seek your services? Is it better to time your marketing in advance of need or is it better to wait until the event is imminent? How often/ frequently do clients request your services? What benefits are they looking for? Do clients stay loyal to you or can they easily switch to a competitor? Loyalty programs were created for a reason. Law firms are limited in this area, but there are acceptable ways to enhance loyalty. How engaged are your clients in the process of your legal advisory, consulting, representation or counseling services? In the buying process involved or is it commodity driven with low upfront risk? In certain practice areas the clients typically consist of entire organizations. Here we recommend segmentation on the organizational level (for psychographic segmentation one can look at organizational culture, values, missions, and buying process procedures, rules and constraints), and on the individual level by defining the segmentation characteristics of those individuals that represent the organization including owners, managers and decision-makers for legal matters. In our next post we will look more closely at defining Buyer Personas to more accurately reach target clients.